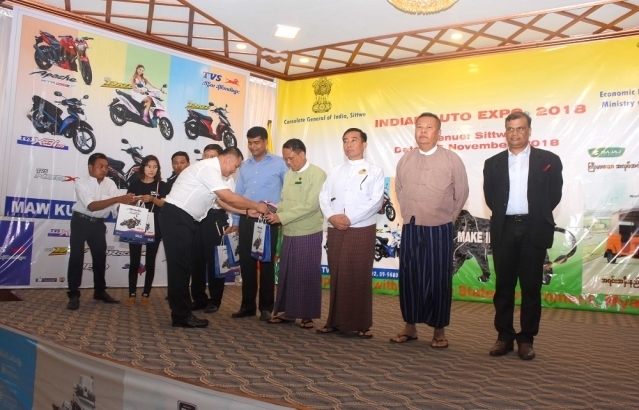 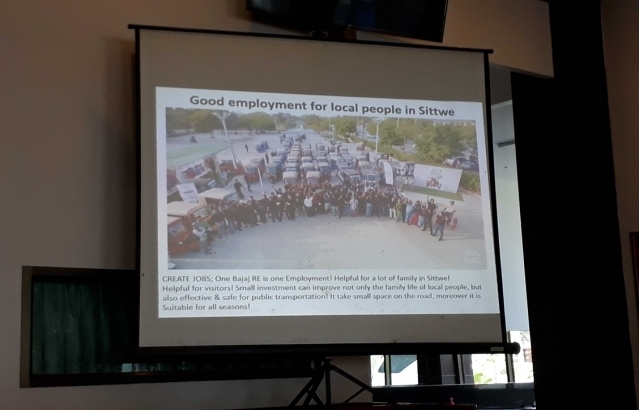 Auto Expo, 2018, was organized by Consulate General of India, Sittwe in cooperation with Rakhine State Government on 15thNovember 2018. 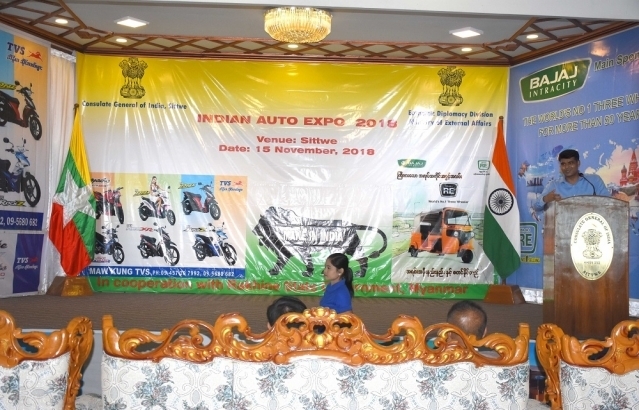 Two Auto majors Bajaj Auto and TVS showcased their products on this occasion. 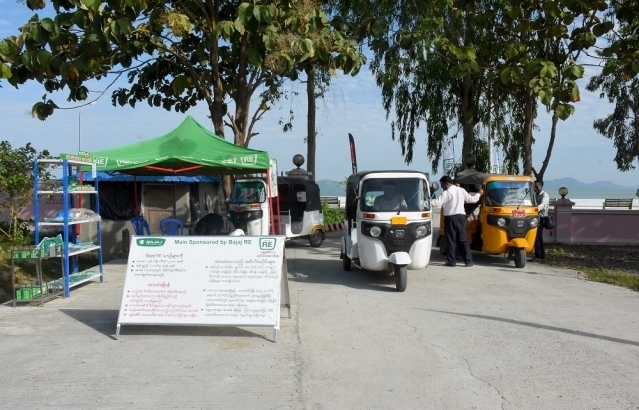 Bajaj Auto is presently in three wheelers segments, whereas TVS is presently in two wheelers segments. 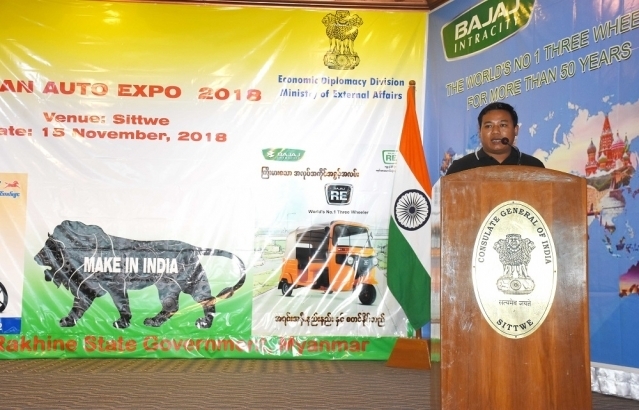 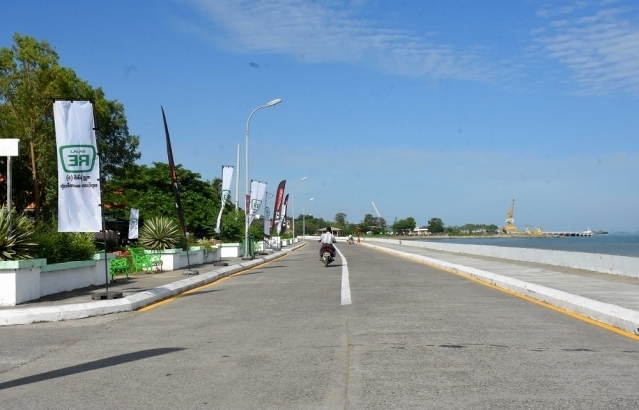 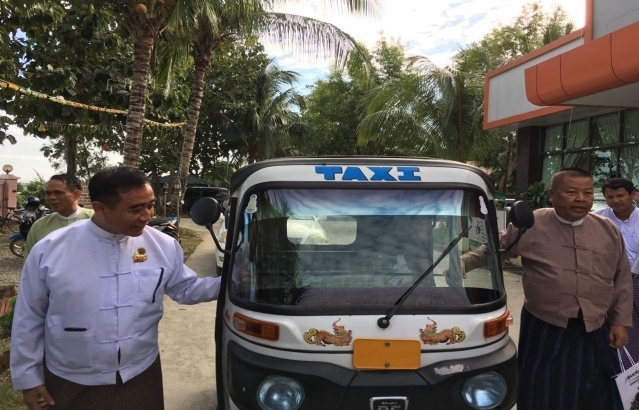 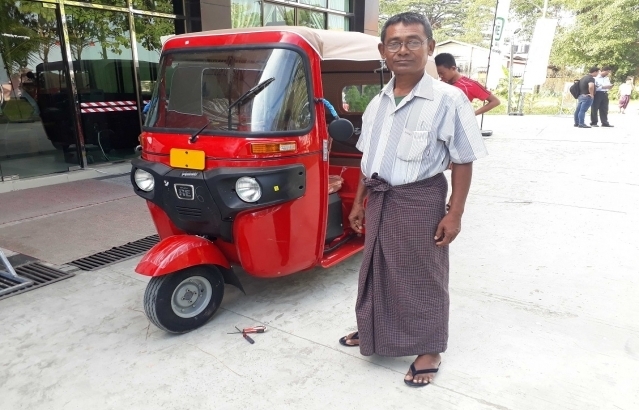 Presently about 2,000 Bajaj Autos, are plying on the roads in Rakhine State, and has very good acceptability among the people of Myanmar. 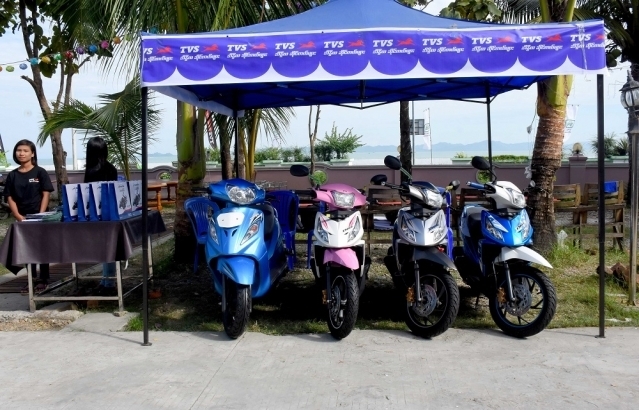 TVS will also be launching its three wheelers products by early next year. 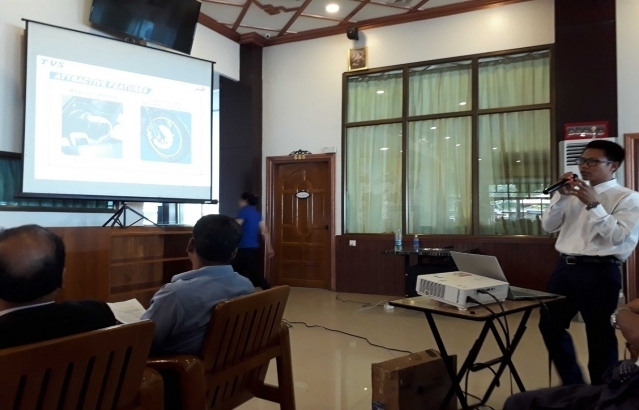 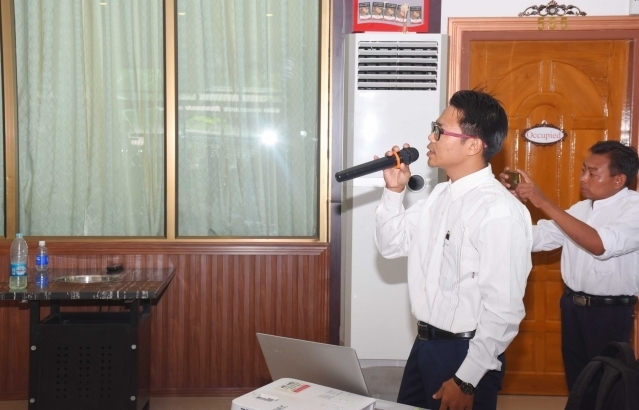 Both Bajaj Auto and TVS companies explained the benefits and quality of their products by PowerPoint presentation. 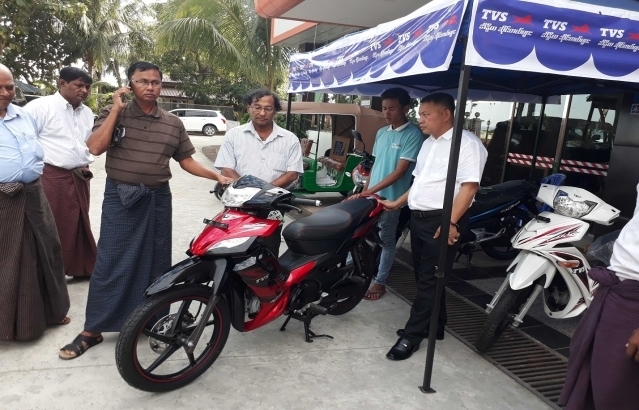 Consul General Dr. Kumar Praveen, Hon’ble Minister U Kyaw Lywin from Rakhine State Government, and representatives from Bajaj Auto and TVS Company delivered their speeches on this occasion. 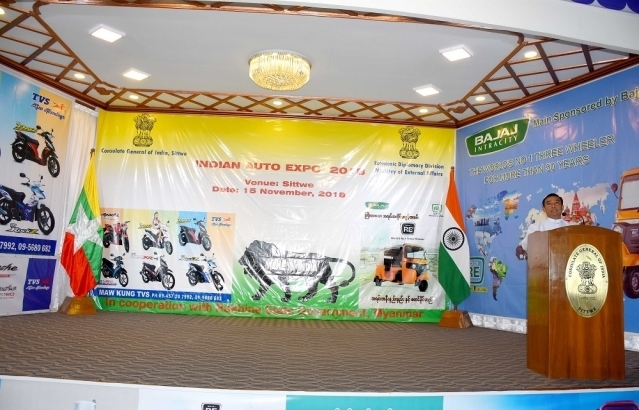 This occasion was marked by free servicing of Bajaj and TVS vehicles. 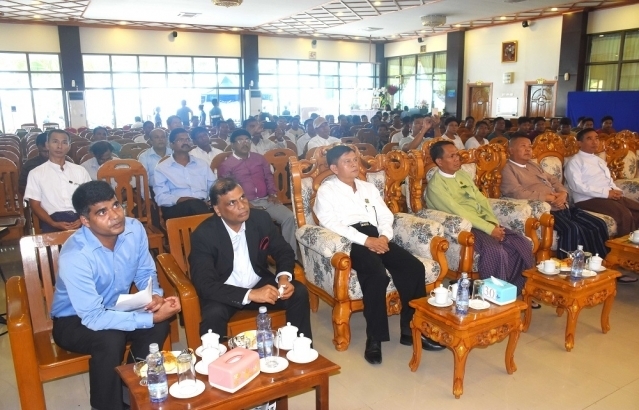 Altogether more than 100 people including regional sales representatives attended the event.